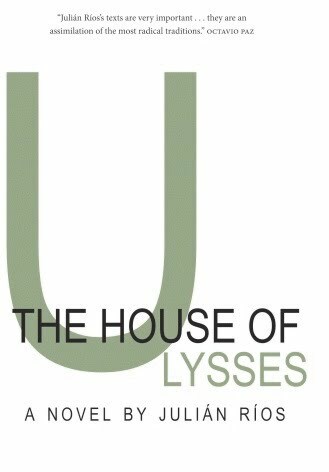 For readers weary of the more tedious notes for and companions to James Joyce’s Ulysses, Julian Rios’s The House of Ulysses presents a new and exciting option. Rios, one of Spain’s foremost post-modernist writers, has approached Joyce’s work with insight, elegance and a very necessary sense of humor. The book takes place in The Ulysses Museum, where the visitors/readers are guided through eighteen rooms that correspond with the eighteen chapters of Ulysses. A Cicerone (an old term for guide) is joined by Professor Ludwig Jones (a seasoned Joyce scholar) and three critics called A, B and C, each of whom have differing opinions concerning the text. In a clever reinterpretation of Joyce’s “man in the macintosh,” a mysterious man with a Mac computer lurks in the background and presents the traditional break-down of each chapter’s title, setting, time, and symbol, etc. As they enter each room, the members of the group first discuss and then re-tell the events and meanings of each chapter.